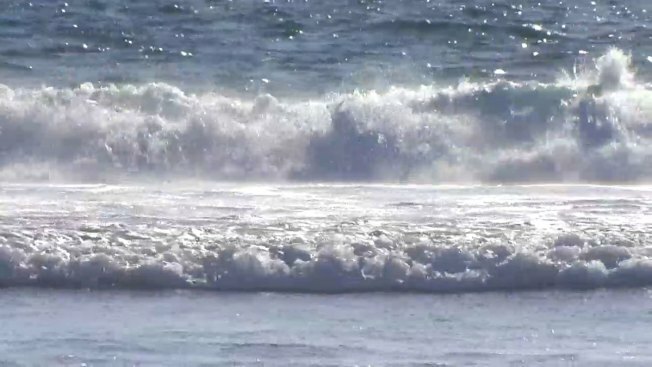 Two teenagers are recovering after being rescued in rough water off a Rhode Island beach that had been closed due to "treacherous" conditions. Police were called to Narragansett Town Beach late Wednesday afternoon and were able to spot the boys about 100 yards out clinging to a body board. The boys, ages 14 and 15, were rescued by the fire department and the Coast Guard. They were taken to hospital for evaluation then released to their parents. The beach had been closed earlier in the day for what the town manager's office called "severe surf" and "treacherous water conditions."